Anytime Carpet Cleaning Denmark is a family owned business and operated by myself, Stephen Roberts. IICRC Certified Technician in the areas of Carpet Care, Colour Repair, Floor Care, Odour Control and Upholstery & Fabric Care. 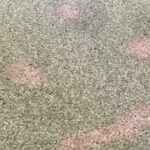 Anytime Carpet Cleaning Denmark is also employed by Local Real Estate Agencies, Retail Shops, Local Businesses as well as Schools. We take pride in every job we attend as if it were our own. 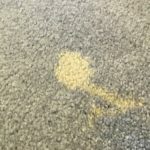 We use biodegradable products and the latest techniques to deliver you clean and sanitised carpets. Household bleach and other cleaning chemicals is a common occurrence causing permanent colour loss. 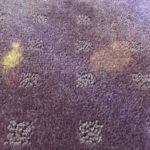 We can colour match your carpet and re-dye the bleach spots. Albany, Bow Bridge, Cosy Corner, Denmark, Frankland River, Mount Barker, Peaceful Bay, Youngs Siding, Walpole, & Surrounding Areas. If you live outside these areas and feel you have the need of our services please contact us for a free quote. We undertake both domestic and commercial work guaranteeing a first class and professional service. Offering the services of carpet cleaning, carpet , upholstery cleaning, stripping and sealing of vinyl flooring, tile & grout cleaning and window cleaning. Highly recommended!! Thank you for your services, outstanding job!! You did a fantastic job when I used you. Very happy with the results. A must use company here people. Thanks Stephen, great job you did on my floor rugs. Very efficient! Just had Stephen come and clean my tiles! What an awesome job he did, they look like new and the April special makes it super affordable. Highly recommend it to anyone wanting to clean the tiles and grout in their home. Thanks Stephen, very very impressed!!! Stephen from Anytime Carpet Cleaning is fantastic, he does such a professional job and his customer skills are second to none. He is also very reasonably priced. Great job!! Carpets look amazing again thank you!!! Stephen came and cleaned our carpets today. Very friendly, professional and did a wonderful job. Highly recommend! For your convenience we are now accepting card payments through our mobile eftpos.